Last night I tried my hand at making ornaments for an upcoming ornament exchange. Haha. 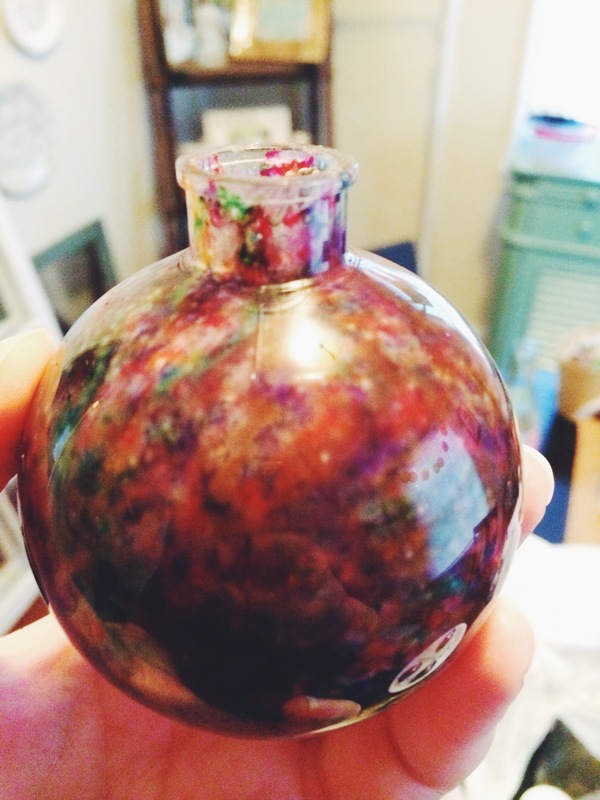 You can click on the above photo, or HERE for how to do it, but basically you are supposed to use a liquid adhesive (they use varnish…I used clear Elmer’s glue) to roll around INSIDE the ornament to coat it, then you pour sprinkles in to coat the ornament. Haha. They even mention how to not get the sprinkle colors to run. Oops. 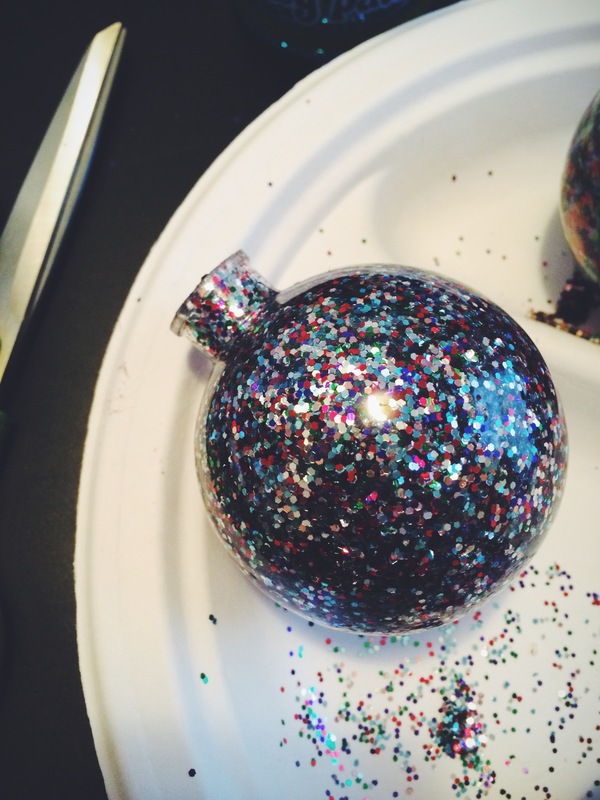 I did the same thing I did with the sprinkles…put some glue in the ornament, and tilted the ornamet around until the inside was coated with glue. 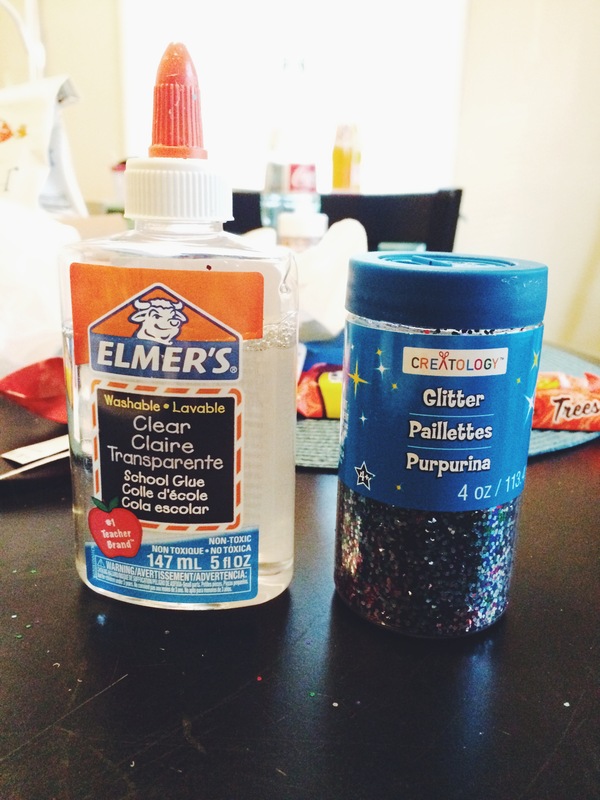 Then I simply poured in some glitter! 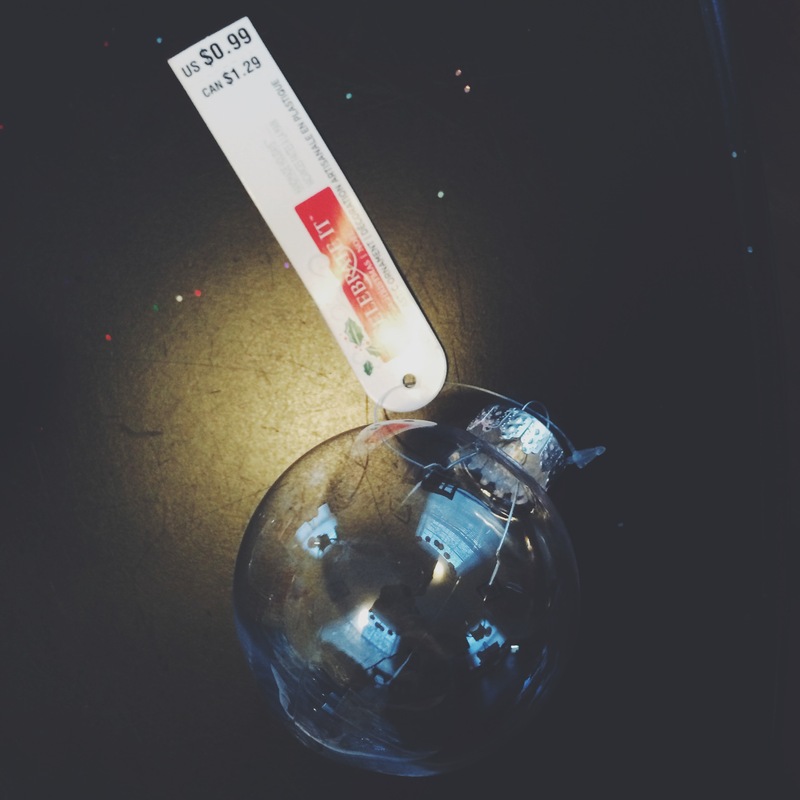 I put the ornament upside down in an old cup to let excess glitter and glue drop out. Et voila! Bhaha….yep! The first attempt was definitely a fail. But at least you tried it again with the glitter. It looks great! I will have to attempt this now that I know someone has done it well. Yea, my Pinterest fail really wasn’t too bad, but meh! Oh my goodness! 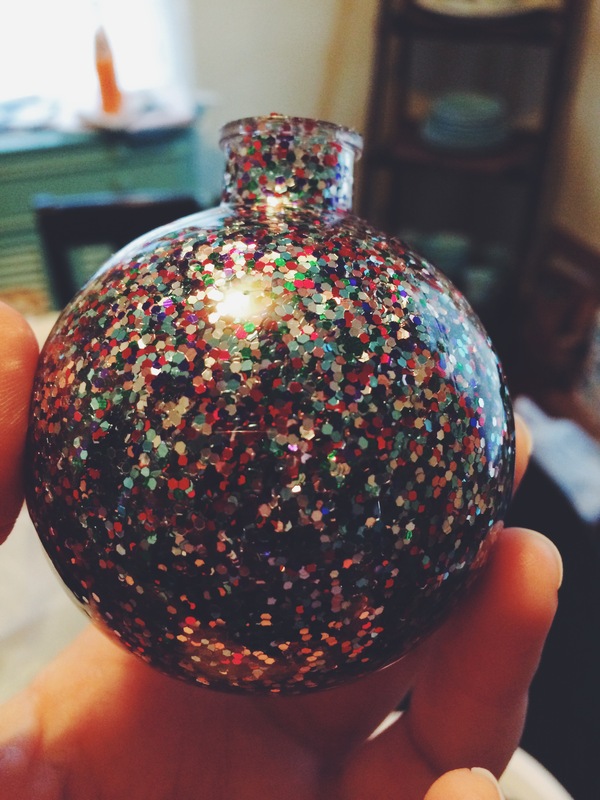 I LOVE the glitter ornament..better than the sprinkle one actually. I have been disappointed lately with Michael’s glitter selection too..If you live near a Hobby Lobby, I highly suggest browsing their ornament selection! 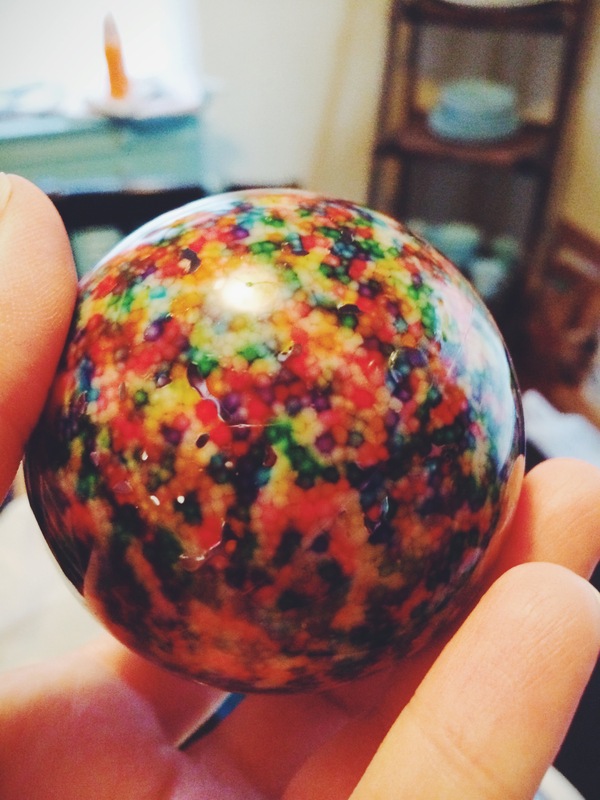 I may have to make a few of the glitter ones for our house!